While driving past a field late at night, someone noticed, out of the corner of his eye, a shadowy figure against a fence. 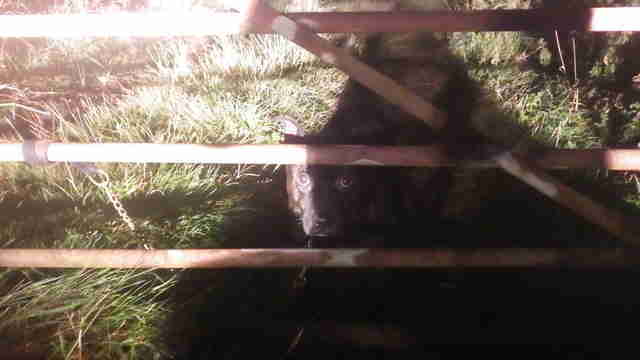 On closer inspection, he realized it was a dog — tied to the fence and left all alone in the dark. 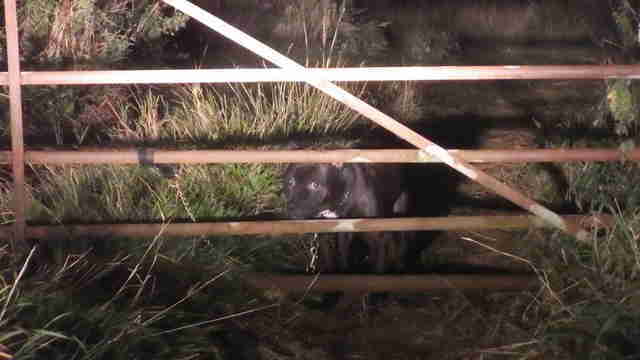 The concerned passerby immediately contacted the RSPCA, which came out to rescue the poor abandoned dog. He was so terrified, though, that at first, Scargill couldn’t seem to get him into his car. 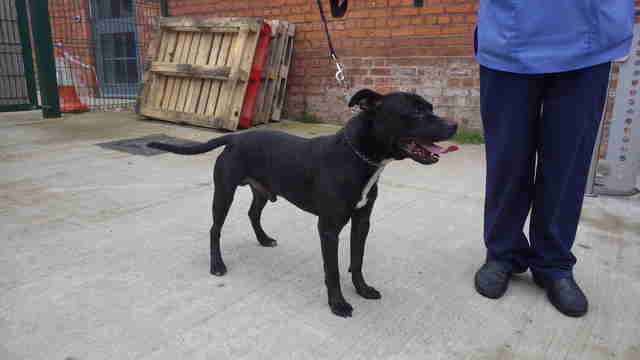 Eventually, though, after earning his trust a little and trying to show the dog that he was there to help him, Scargill managed to get the dog into his car, and immediately drove him to the RSPCA’s Birmingham Animal Hospital. 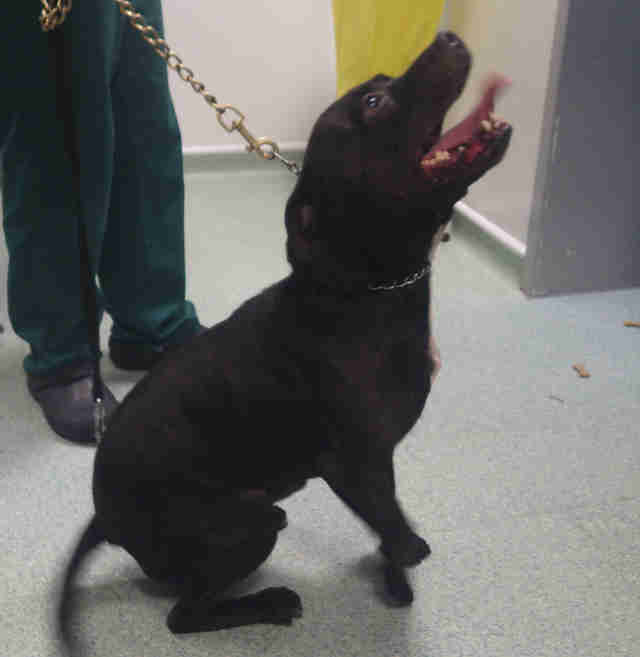 The dog was not microchipped, and so the RSPCA has no idea where he came from, or who might have abandoned him in such a cruel way. Luckily, besides being traumatized, the dog was in otherwise good health, and seemed to have no injuries or conditions that needed tending to. Despite everything he’s been through, the sweet dog is slowly warming up to the people caring for him, and is finally learning that there are good people in the world. 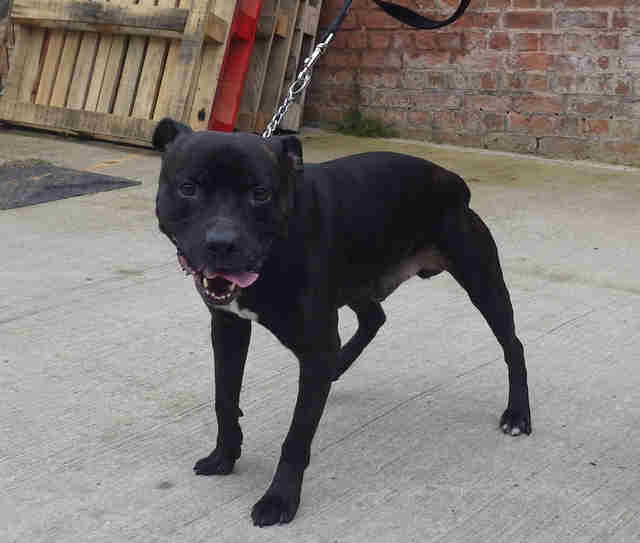 “We just can’t understand why someone would abandon him like this,” Scargill said. 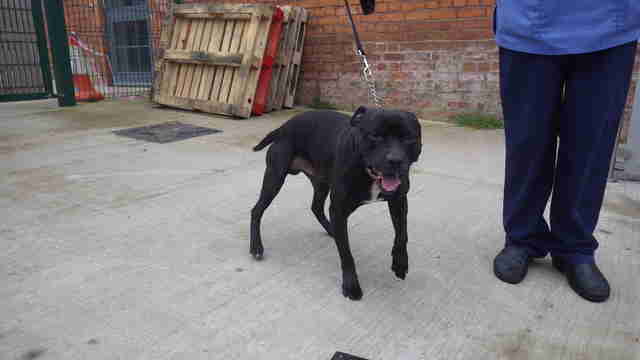 Anyone with any information about how this dog came to be abandoned can contact the RSPCA at 0300 123 8018.